Candlewick Press (MA), 9780763637033, 466pp. Arrogance and innocence, hubris and hope--twenty-four haunting voices of the Titanic tragedy, as well as the iceberg itself, are evoked in a stunning tour de force. Millionaire John Jacob Astor hopes to bring home his pregnant teen bride with a minimum of media scandal. A beautiful Lebanese refugee, on her way to family in Florida, discovers the first stirrings of love. And an ancient iceberg glides south, anticipating its fateful encounter. The voices in this remarkable re-creation of the Titanic disaster span classes and stations, from Margaret ("the unsinkable Molly") Brown to the captain who went down with his ship; from the lookout and wireless men to a young boy in search of dragons and a gambler in search of marks. Slipping in telegraphs, undertaker's reports, and other records, poet Allan Wolf offers a breathtaking, intimate glimpse at the lives behind the tragedy, told with clear-eyed compassion and astounding emotional power. Bibliography, articles, periodicals, government documents, discography. A masterpiece. Wolf leaves no emotion unplumbed, no area of research uninvestigated, and his voices are so authentic they hurt. Everyone should read it. 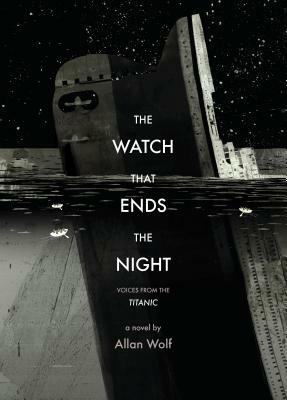 Wolf constructs a richly textured novel in verse that recreates the Titanic's ill-fated journey, predominantly through the voices of her passengers... Wolf's carefully crafted characters evolve as the voyage slides to its icy conclusion; readers may be surprised by the potency of the final impact. Twenty-four voices-of passengers, rats and even the iceberg-evoke the human tragedy of the ill-fated voyage. Wolf brings the history and, more importantly, the human scale of the event to life by giving voice to the players themselves . . . A lyrical, monumental work of fact and imagination that reads like an oral history revved up by the drama of the event. Wolf's novel in verse gives voice, through first-person accounts, to a cross section of passengers and crew on the Titanic: how they boarded, why they're there, and how they face the disaster. . . . The themes of natural disaster, technology, social class, survival, and death all play out here.